Have you recently bought a new bike or are you shopping for motorcycle insurance? You may be wondering what is full coverage motorcycle insurance. 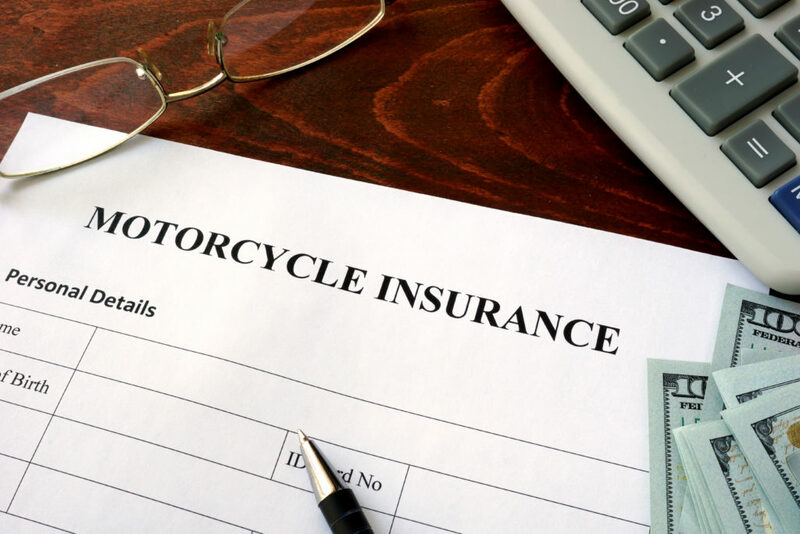 As a responsible driver and owner of a new motorcycle, you’ll want to make sure you are properly insured. Likewise, you don’t want to pay for coverage that isn’t neccessary. We’ll show you what coverage options are available so you can evaluate what you need. We’ll explain what full coverage motorcycle is and why you should consider it. Generally speaking, motorcycle insurance is more expensive than auto insurance. Insurance companies charge so much because statistically, motorized bikes are involved in more accidents. Expect that your premium will be high. Typically, full coverage insurance is substantially more than a basic liability policy but reasonable pricing is out there. Take the time to compare policies to get what you need and shop around for the best price. Is full coverage motorcycle insurance the best option? What is the value and type of my bike? Is my bike my main mode of transportation or do I use it a lot? Certainly, you should think about full coverage motorcycle insurance especially when your ride is custom made or on the high end. When you ride your bike every day, full coverage will allow you to repair or replace your bike without having to wait for the other driver’s insurance to pay out the claim. What other choices are there for motorcycle coverage? If you feel that full coverage is too much for you, in coverage and cost, you might consider liability insurance. All states require that you have a certain amount of liability insurance. Liability insurance is the maximum amount the insurance company must pay out for all persons injured in the accident. Additionally, it is the property damage coverage which is the maximum amount the insurance company must pay out to repair or replace your bike. As you are insurance shopping, take the time to determine the specific amount of liability insurance your state mandates. Additionally, you may opt to purchase extra liability insurance to protect yourself should you ever be sued over an accident. Make sure that the liability insurance covers passengers as well. Choosing the right insurance policy for your bike protects yourself, others, and your investment. In summary, full coverage insurance is robust but may be more than you need. Make sure you recognize your bike’s value and the amount of time you ride to ensure you have the coverage you need. Shop different insurance companies for similar coverage needs to get the most out of your policy. You’ll be more confident on your wheels.